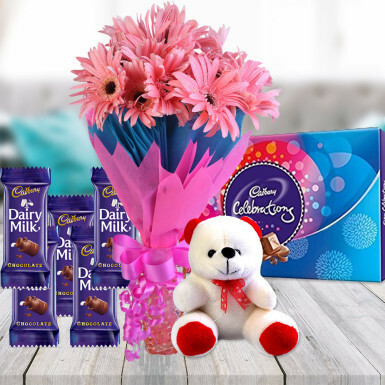 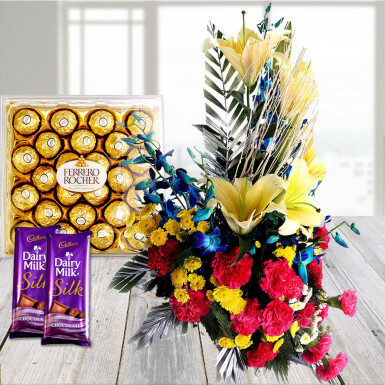 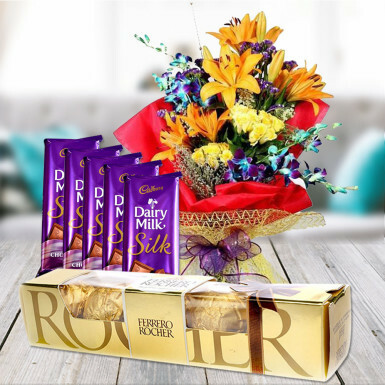 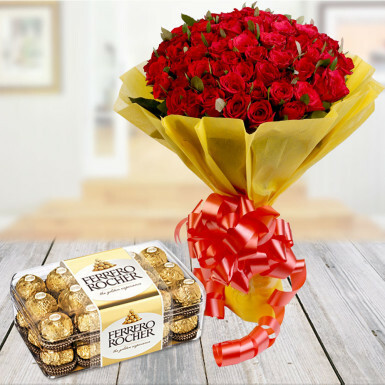 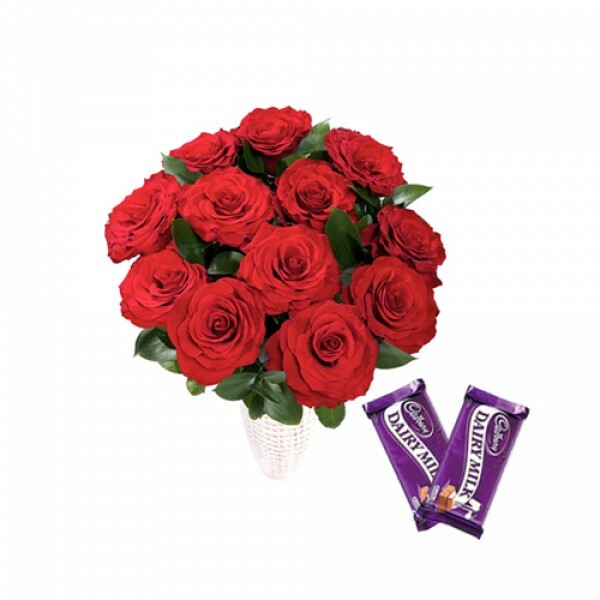 A bunch of 12 red roses, arranged beautifully, along with 2 dairy milk chocolates. 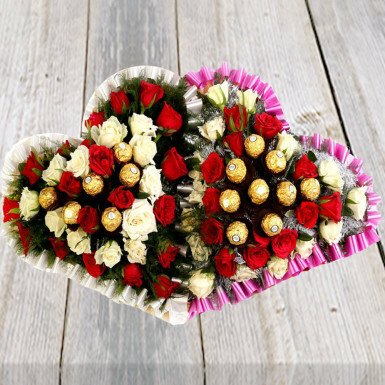 (Rs.10 each). 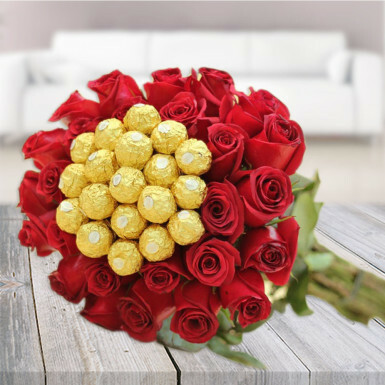 Roses were fresh and gift was properly packed..Awesome .nice experience with flowerscakesonline.